The news comes after researchers looked at 600 Zika-affected pregnant women in Colombia. Finally, amid all the confusion surrounding Zika virus, comes a tiny bit of good news: Scientists in Colombia have found that infections during the third trimester don't seem to cause severe birth defects. The researchers tracked the pregnancies of nearly 600 women who were reportedly infected with Zika during their third trimesters. Their findings? Not one of them gave birth to a baby with an underdeveloped head or brain (a condition called microcephaly that is known to be caused by the Zika virus) or who had any other brain abnormalities. "I think it's somewhat reassuring that there were not major birth defects identified," Dr. Margaret Honein, an epidemiologist with the Centers for Disease Control and Prevention who helped lead the study, told NPR. "But I want to make sure we understand there is still a lot that we need to know." Like whether Zika infections late in pregnancy raise the risk for neurological problems—abnormalities in vision and hearing, for example—or other complications. 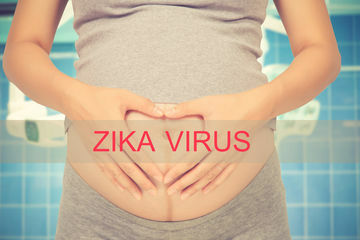 And because infections contracted during pregnancy are sometimes linked with problems that turn up later in life, it could actually be years before we know the full impact of Zika on babies born to moms infected in their third trimester. Which is why until we know more, Honein says it's important for all expectant moms to err on the side of caution and stick to the current CDC recommendation for pregnant women to avoid travel to any area where Zika virus is spreading. If travel is an absolute must, talk to your doctor first and take strict steps to prevent mosquito bites during your trip. Better safe than sorry, right?